Patricia! Congrats Patricia, I emailed you! Thanks so much for all the sweet comments and for running over to comment at American Crafts too. You all rock. I will do another giveaway VERY soon. Maybe I will even have some new CHA releases because I am going to be there! So stay tuned. Did I mention the washi tape yet? No? The Freckled Fawm arrow tape is divine! I used bits of it to hold down different sections of the Glitz garland that I kind of draped around the page. Just a gorgeous kit. Do check it out! 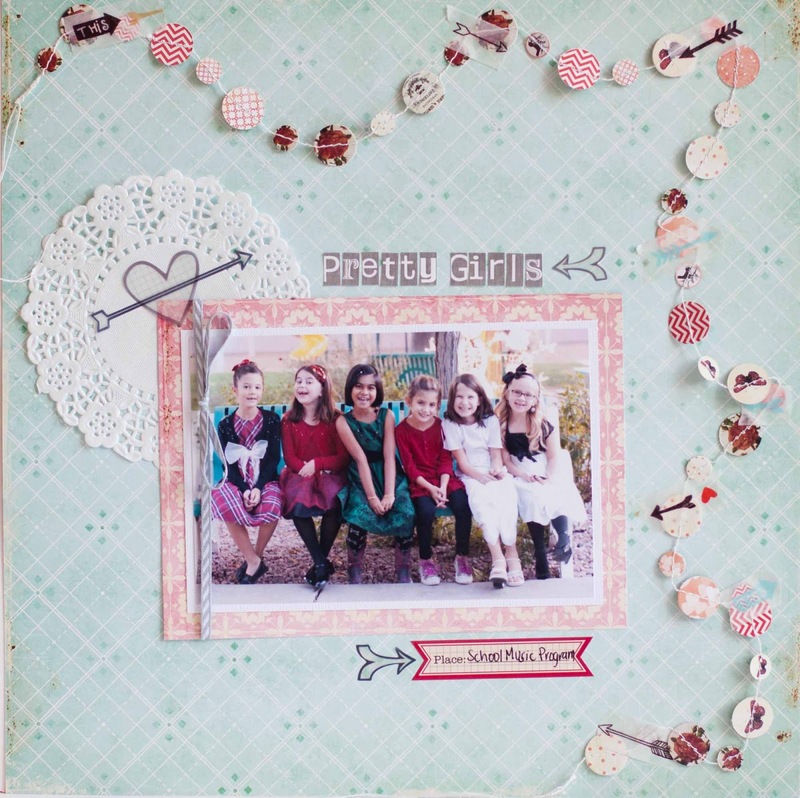 Love this fabulous layout Rebecca! this layout is AWESOME Rebecca! I love it! !